You’re the Kennedy with the best shot at the Oval Office. Look to your grandfather Bobby’s campaign strategy to get you there. 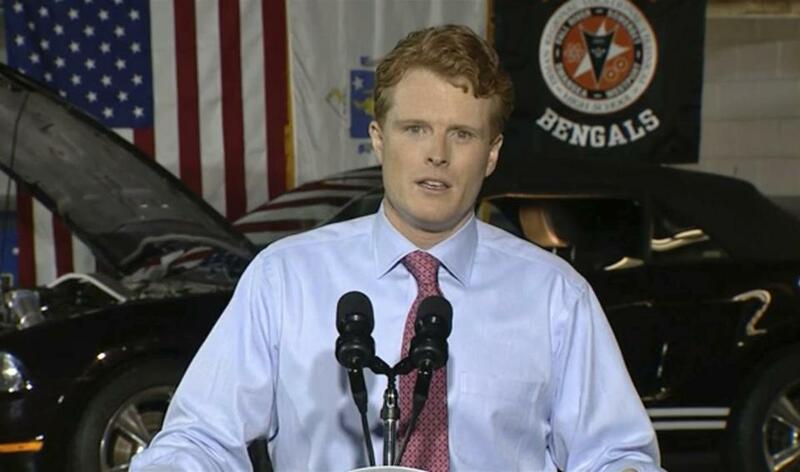 Representative Joe Kennedy III responds to the State of the Union address in January. You’ll soon be the last Kennedy in politics, and it’s on you now whether America’s once-First Family could be again. As you decide, I suggest you look for inspiration not to your dad or your uncles and aunts, all of whom are or are about to be out of the electoral arena. You’re not going to do it like your dynasty-building great-grandfather and namesake, Joseph P. Sr. And while granduncles Jack and Ted were indeed grand, they are not your best role models, the former because he was a man of his times, not ours, while the latter was custom-fit for the Senate, not the White House. It’s Grandfather Bobby who can teach you how to run and win. Your take-away, Joe: While you may not want to look too ambitious, you’ll pay an even bigger price by looking too reticent. Bobby Kennedy campaigning in 1968. If you do jump in, Bobby offers an affirmative blueprint for what to do. The vision that propelled his ’68 crusade was clear and compelling, from ending our deadly entanglement in Vietnam and addressing the crisis in our cities to removing a sadly out-of-touch president. The issues today — almost 50 years to the day of your grandfather’s assassination — are nearly identical and should drive your campaign. Ask your grandmother Ethel — who is convinced your penchant for reaching across the partisan aisle makes you a chip off Bobby’s block — about the hard truths he told. 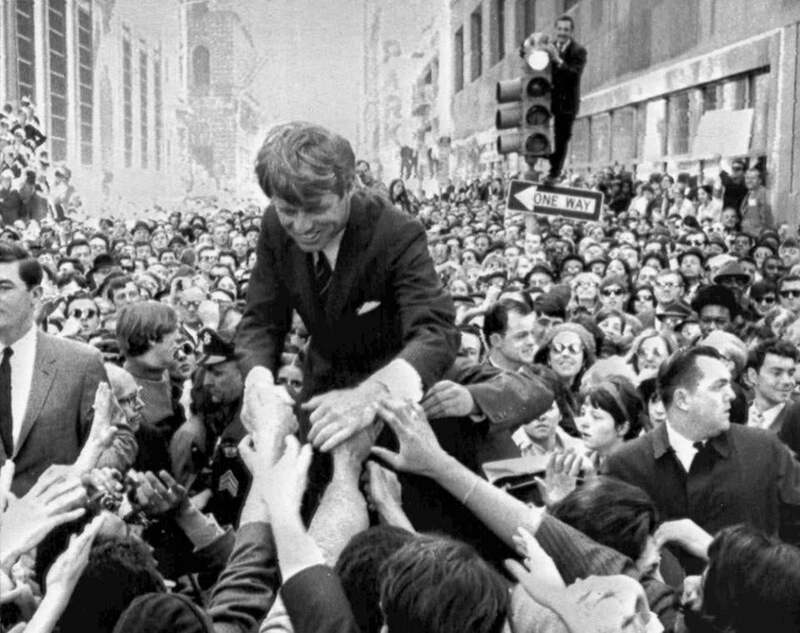 The RFK of 1968 was a bridge builder — between islands of blacks, browns, and blue-collars; between terrified parents and estranged youths; and between the establishment he’d grown up in and the New Politics he heralded. It wasn’t just that he was the only politician in that season of strife who was embraced on both sides of the railroad tracks. Only Bobby was willing to tell each side not merely what it wanted to hear but what it needed to hear. It was demagoguery in reverse. Another Bobby credo that seems counterintuitive in today’s politics: Court the press. Journalists, like everyone, are looking for those selfsame traits now — a politician who defies notions of fake news by telling hard truths, and a public figure who remains steadfast despite the pressures of today’s social media and 24/7 news cycle. If you aren’t already thinking about all of this, Joe, it’s not too early — in 2020 you’ll be almost the age Bobby was in 1968. While your resume isn’t nearly as thick as his, you have served in Congress longer than he did, and you’d be running against an incumbent with the thinnest political biography of anyone to enter the Oval Office. When you delivered the Democratic response to President Trump’s State of the Union address in January, you reminded many of us of your grandfather — and rekindled the dream of another First Family named Kennedy, much the way Bobby had when he ran half a century ago. Former Boston Globe reporter Larry Tye’s most recent book is “Bobby Kennedy: The Making of a Liberal Icon.” He is working on a biography of Senator Joseph McCarthy. Send comments to magazine@globe.com.